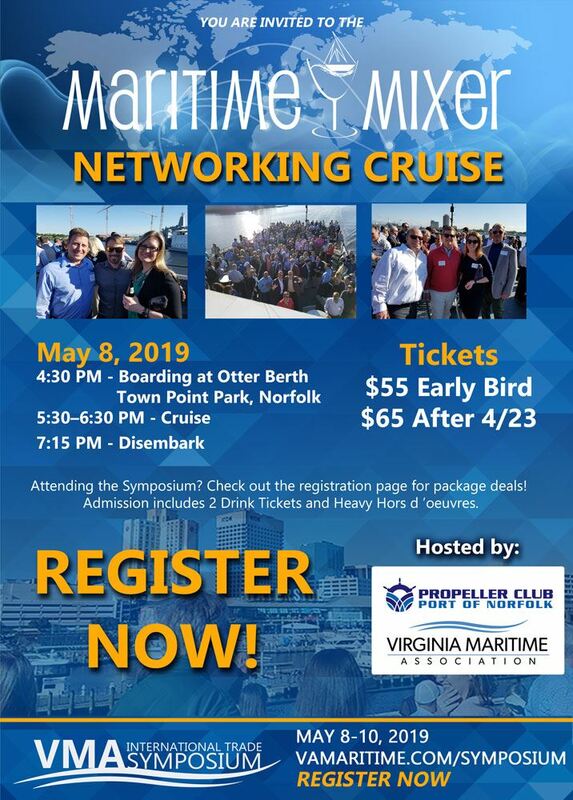 Please join the Propeller Club Port of Norfolk and the Virginia Maritime Association for our Maritime Mixer Aboard the Spirit of Norfolk! Kick off the VMA’s Annual International Trade Symposium with presenters, guests, local dignitaries and colleagues for a pre-conference social and networking opportunity! Enjoy drinks, hors d'oveures, dancing, and a cruise. Registration will be through the Virginia Maritime Association's website. The price is $55 a ticket until April 23rd, when prices increase to $65 per person, so register now!